"Let me be clear about marijuana. 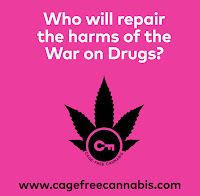 It is a potentially dangerous gateway drug that frequently leads to the use of harder drugs." Kelly, who also submitted the poster at right as evidence for his claims, added that US Immigration and Customs Enforcement (ICE) "will continue to use marijuana possession, distribution and convictions as essential elements as they build their deportation removal apprehension packages for targeted operations against illegal aliens living in the United States." Kelly's words speak to yet another bizarre and terrifying spectacle unfolding in Donald Trump's America: Latinos who have done nothing else wrong besides smoke pot - even medicinally, even in one of the many states where medical or recreational pot is legal - kiss your family, job and adopted home country goodbye. President Trump thanks you for all the taxes you paid while you were here, so he can go have fun at Mar-a-Lago. What about all the white people living in states with legal MJ who break federal law every time they light up? If Kelly was serious about applying "federal law," he and Jeff Sessions would be invading Colorado, California, and the dozens of other states with legal pot users. Luckily for those states, he's only serious about enforcing "federal law" on the most vulnerable of people, because Trump's administration is the equivalent of a schoolyard bully - wanting to appear tough by pushing around those it can for whatever reason it can, while cowardly ignoring those who are able to stand up for themselves. Okay, Kelly's had his say. Now let ME be clear about marijuana: it is not a gateway drug. The media knows it. Scientists know it. Almost everyone who has read any credible book or article about weed knows it. Simply repeating an untrue statement for decades does not make it any more true. Of course, this is the Trump Administration w're talking about, with Jeff Sessions, a latter-day George Wallace who still believes that locking people up for 180 years will fix a non-existent crime problem, at the helm of the Justice Department. So I don't exactly expect anyone in the admin to be truthful about anything. 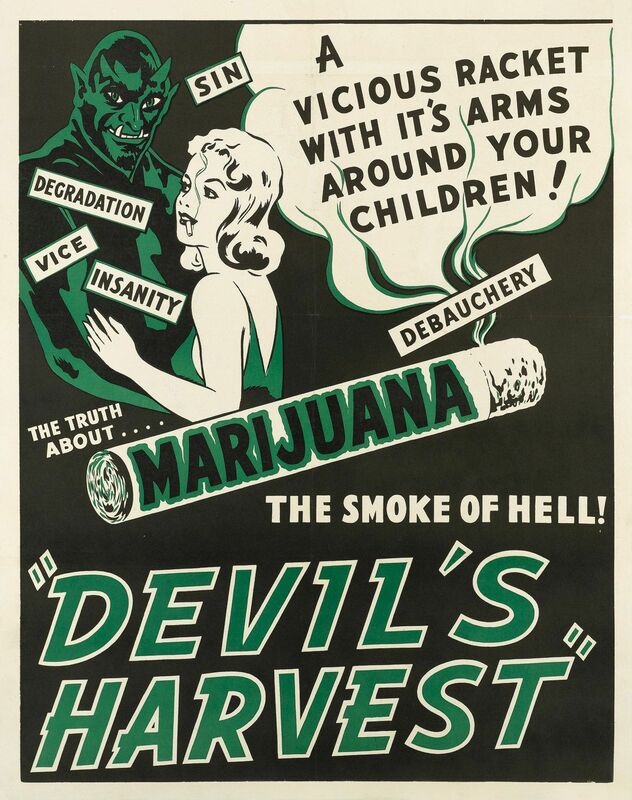 But I feel it is my duty as a historian to remind people that Reefer Madness is alive and well in the present, even as there doesn't appear to be a reversal of widespread marijuana legalization anytime soon. 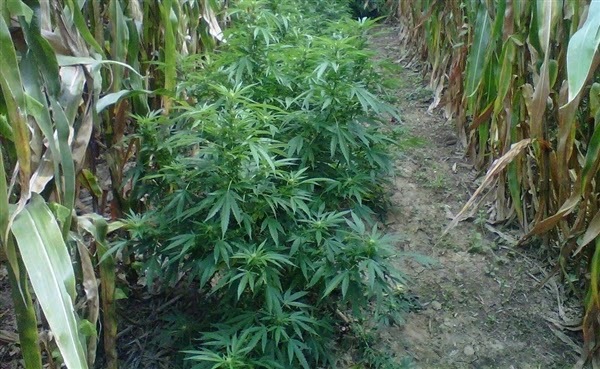 Marijuana is not a "gateway drug" or a "narcotic." Even the descriptor "potentially dangerous" exaggerates the worst effects of marijuana use. No one has died from its consumption. Caffeine withdrawals are more intense. 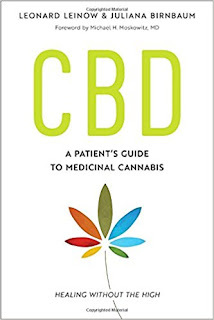 Based on the dozens of interviews I've conducted and on the dozens of books I've read about pot over the last three years, I'd even say that there is a blurred line between "medicinal" and "recreational" use; whether they realize it or not, many so-called "recreational users" smoke pot to cope with everyday ailments such as stress, anxiety, insomnia, and moodiness. These are not necessarily diagnosable conditions, yet marijuana helps treat them. The new baseline for how everyone should talk about weed is something like this: "Marijuana is a medicine procured from one of the world's oldest and most widespread crops. Like all medicines, it has benefits, side-effects, and detrimental effects that vary from user to user and need to be understood in an empirical context based on experience and scientific evidence." As far as I'm concerned, in the age of the anti-information and anti-human Trump Administration, ALL marijuana use is medicinal.